Town of Oakville-Probationary Firefighter | Ontario Fire Administration Inc.
You must have valid certificates for Stages One, Two, Three and a swim test to apply to the Town of Oakville. As each seating fills, we will add additional seats. For example, we are currently booking tests at 6:00PM and 2:00PM. When these time slots are full, we will add additional seats. We are unable to schedule appointment times. It is first come, first served. The posting closes February 1, 2019. Questions regarding the Town of Oakville recruitment process should be directed to Oakville. This job profile reflects the general details considered necessary to perform the principle functions and shall not be construed as an interpretation of all work requirements inherent in the job. Applicants are required to demonstrate in their applications and in the interview process that their qualifications for the position match those specified. Applicants may be required to undergo a skills assessment. The Town of Oakville is looking for new Probationary Fire Fighters to join the Oakville Fire Department. Working in an Incident Command System, the Fire Fighter’s role is to protect life and property through firefighting, emergency medical and other types of emergency incidents, often performed under conditions, which require strenuous physical exertion. Fire Fighters are also expected to provide excellent customer service as well as being leaders in public fire safety education. Fire Fighters are expected to maintain a high standard of professionalism, solve problems, work as part of a dynamic team and possess excellent interpersonal and organizational skills. Teamwork is very important; Fire Fighters live and work together in close quarters throughout their 24-hour shift. This requires all team members to depend on each other to perform their duties successfully whether having to share routine tasks at the fire station, providing services at an emergency scene, or providing service assistance to other agencies and/or the public. 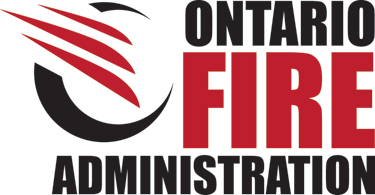 Possess a valid Ontario Fire Administration Inc. (OFAI) Candidate Testing Service certificate and swim test certificate (see note below for details). Possess an Ontario Secondary School Diploma or academic equivalent. Have unaided visual acuity of 20/30 uncorrected in each eye with colour, depth and peripheral vision. Possess valid and current Standard First Aid and CPR certificates. Possess a valid and unrestricted Ontario class “D” driver’s license with a “Z” air brake endorsement and a driving record that demonstrates responsible and safe driving behaviour. Applicants with 6 or more demerit points are ineligible for consideration. A driver’s abstract will be required at the conditional offer stage and must be dated within the last 30 days from when requested. Possess a satisfactory Criminal Record Check with Vulnerable Sector Screening. Please note that successful candidates will be required to provide a satisfactory criminal record check dated within the last 30 days as a condition of employment. Be able to understand and communicate clearly in English under stressful conditions, both oral and written. Have the ability to work cooperatively as a member of an effective and professional team. Have a strong desire to serve the community and a strong work ethic. NFPA Operations or Technician Level Certificate in one or more of the following programs: rope rescue, confined space rescue, water/ice rescue, hazmat response. Fire Fighter experience (volunteer or professional). Medical training or experience (i.e. Paramedic, Nursing etc). Other relevant specialized training, qualifications or experience. Demonstrated community service and/or volunteer involvement. To be considered for this recruitment, the town requires all applicants to hold valid Ontario Fire Administration Inc. (OFAI) Candidate Testing Program certificates (Stage 1, 2 and 3) and Swim Test certificate. Stage 1, 2, and 3 certificates must be valid at time of application. Swim test certificates must be dated prior to first interviews. Please visit www.ofai.ca for additional information on the Candidate Testing Program. If you have any questions regarding the Candidate Testing Program, please contact OFAI directly at 905-426-6756 or info@ofai.ca. When applying online, you will receive an email confirmation that your resume and cover letter has been successfully received by the town. Please check your junk or spam folder if you do not see this confirmation email in your inbox. Only those applicants selected to move forward in the recruitment process will be contacted by the town. Resumes and cover letters will only be accepted online. The town will not accept applications delivered in person or by mail. Applicants must possess all necessary certifications outlined in this posting at time of application except the OFAI Swim Test which must be dated prior to the first interviews. Applicants who are in the process of obtaining required certifications will not be considered. Applicants are responsible for all costs (i.e. : certificates, testing, travel, medical) throughout the recruitment process. Completion of the OFAI certificate does not guarantee applicants will move forward in the recruitment process. Successful candidates will be required to successfully complete a medical screening that is satisfactory to the town including proof of the following vaccinations/immunizations: Red Measles, Mumps, Rubella (German Measles) commonly known as MMR; Tetanus/Diphtheria (must be current within 10 -12 years), Polio and Hepatitis B.
Firefighter recruitments attract a high volume of applicants. The town is unable to respond to individual inquiries during or after the recruitment process. Please do not call the town, Human Resources or Fire department. Please visit the town’s website at www.oakville.ca to view Frequently Asked Questions and Key Dates. If you are interested in a career as a Probationary Fire Fighter with the Town of Oakville, please submit your resume and cover letter online at www.oakville.ca in the current opportunities section no later than 4:00 pm on February 1, 2019.